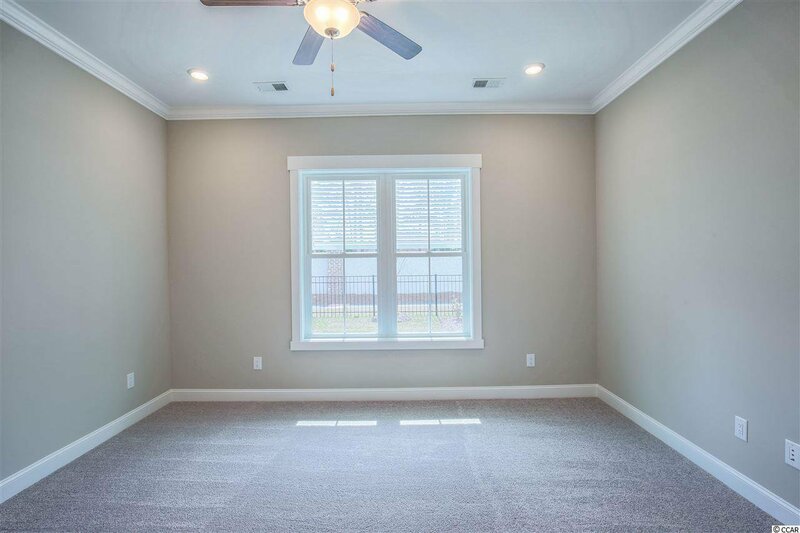 Low maintenance and ready to move into! 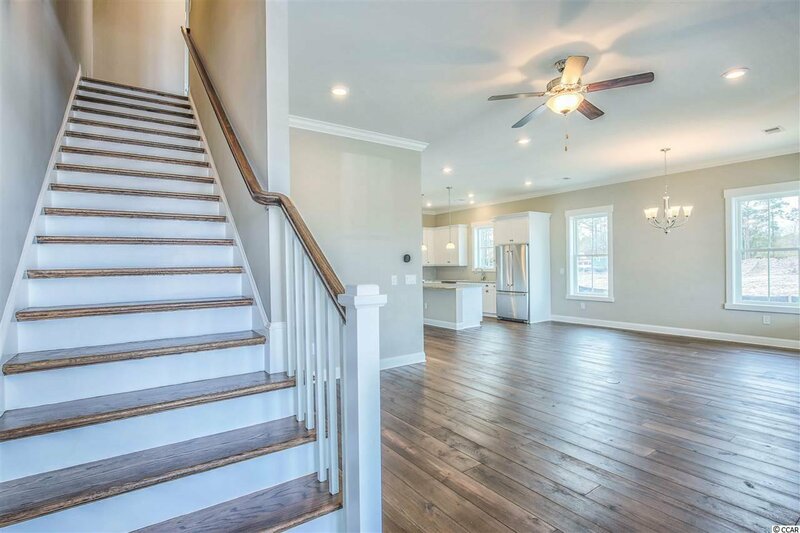 At 2,196 heated sf, the two story Coupled Cottage sits nicely on lot 1 and offers 3 bedrooms plus flex room with a first level master suite and 2.5 bathrooms. 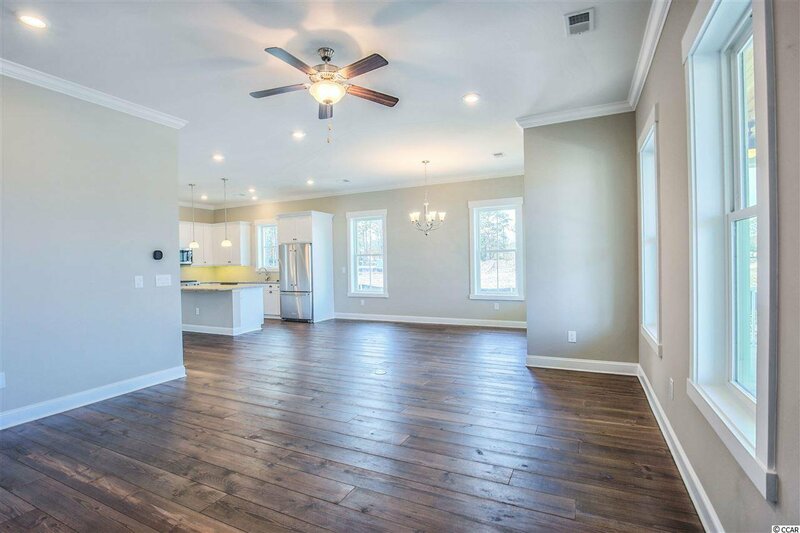 The home's open floor plan features a dining area, great room and kitchen with an island for entertaining! 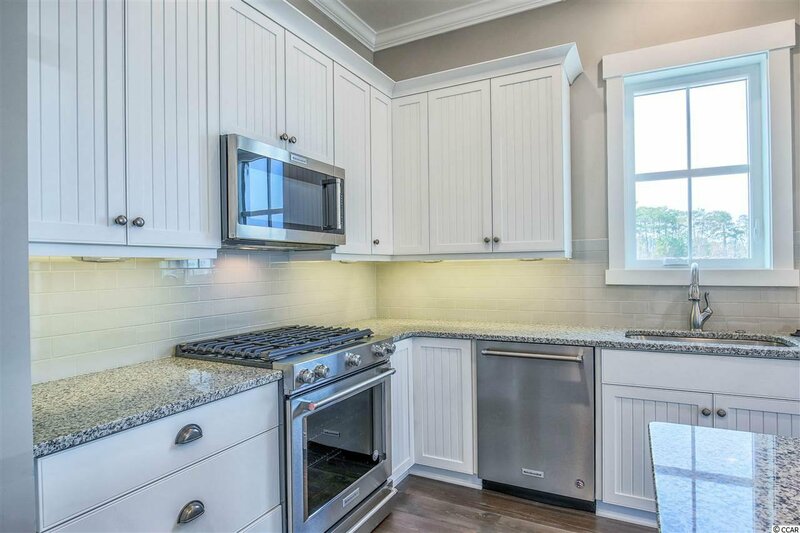 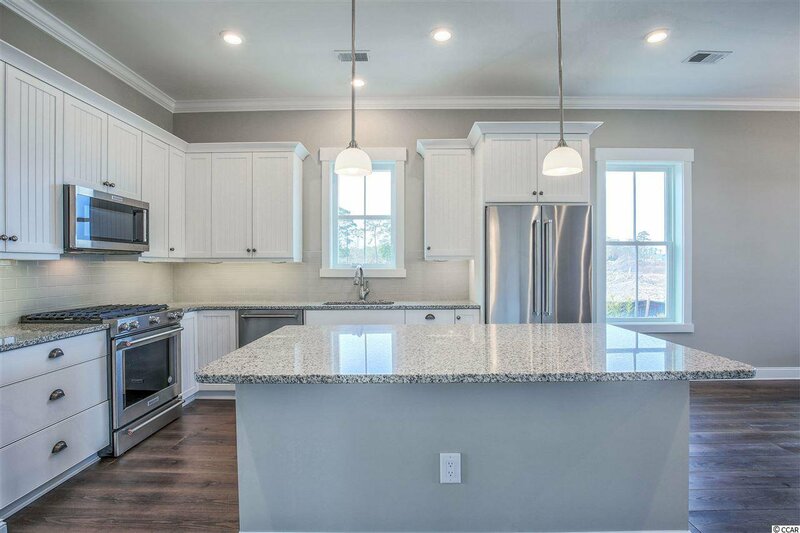 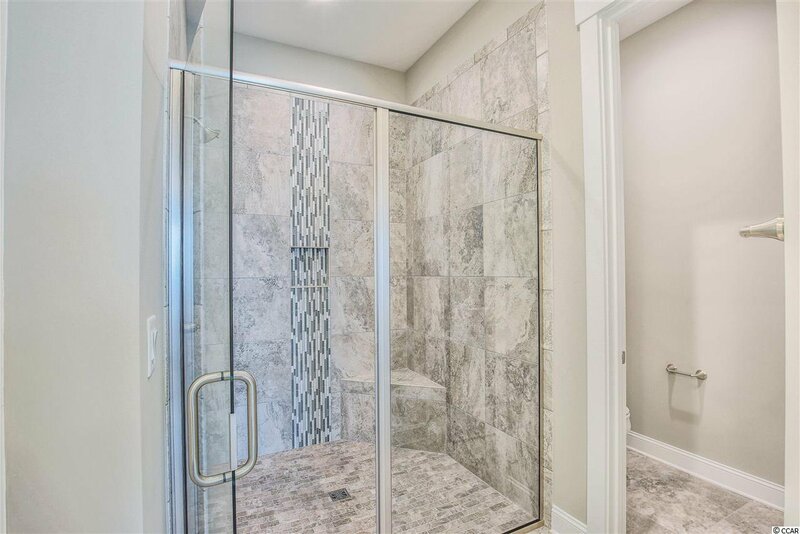 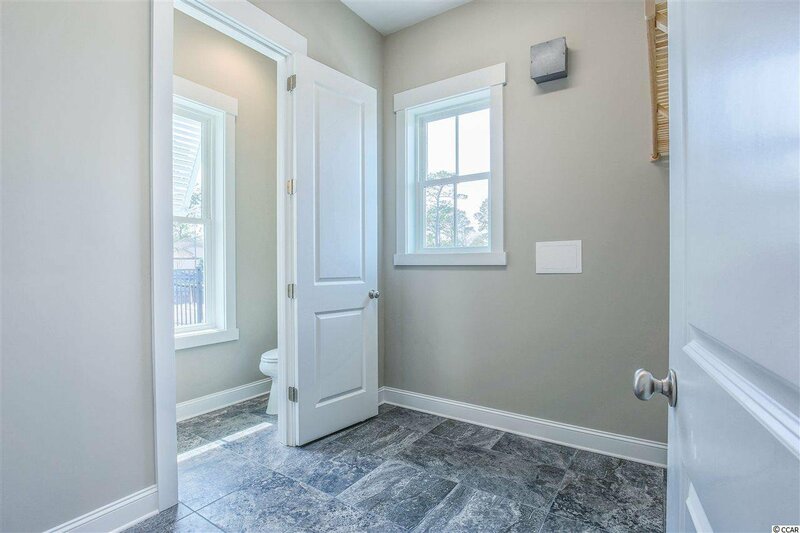 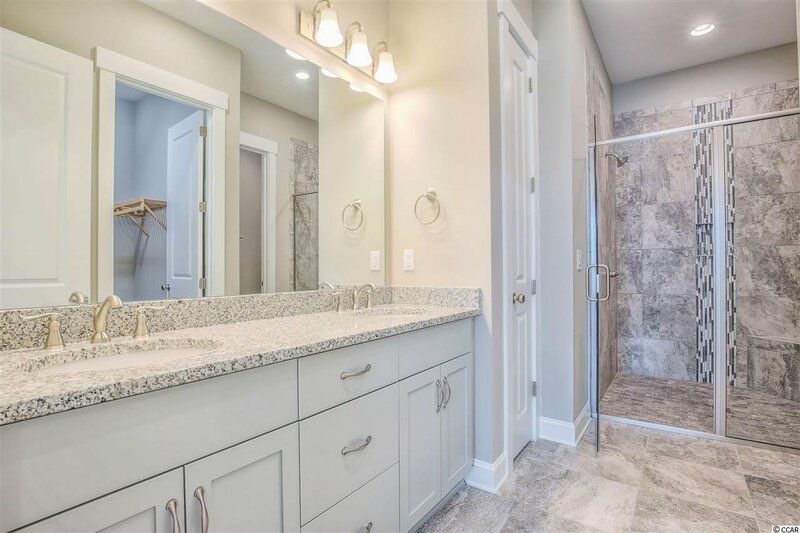 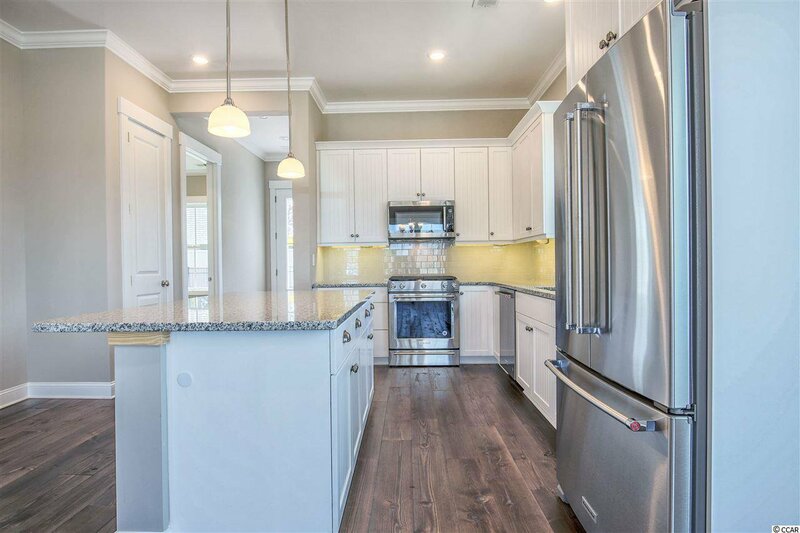 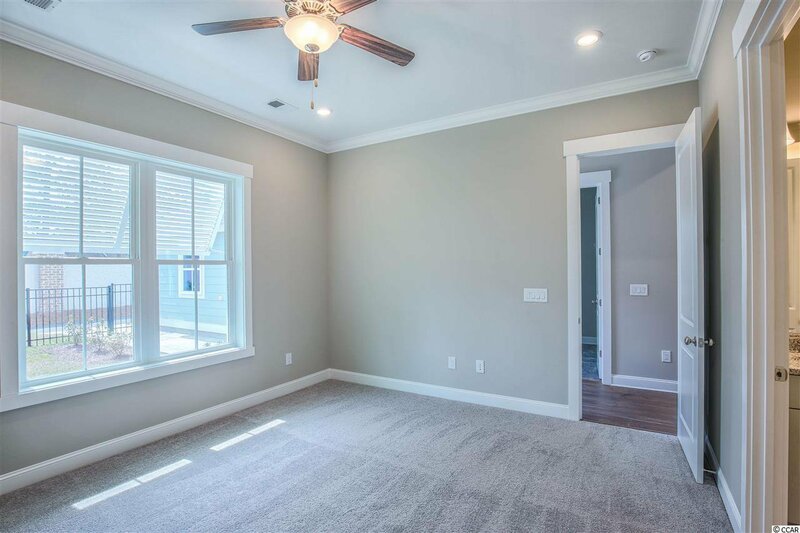 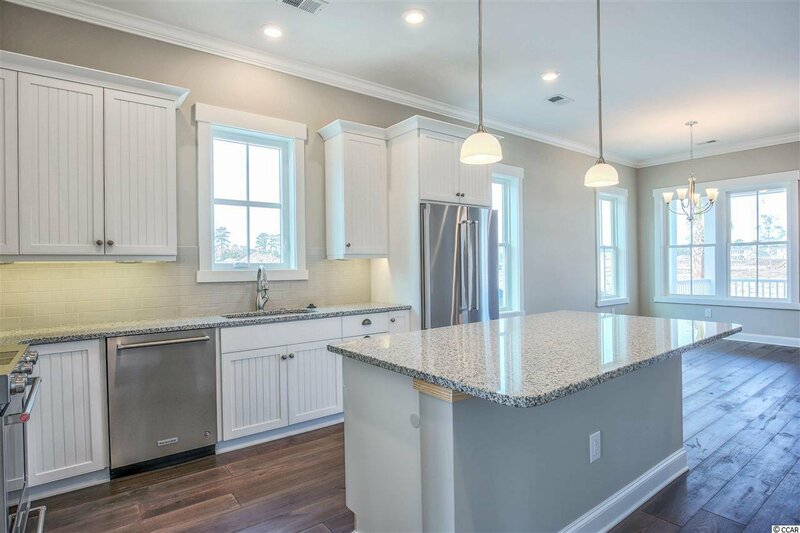 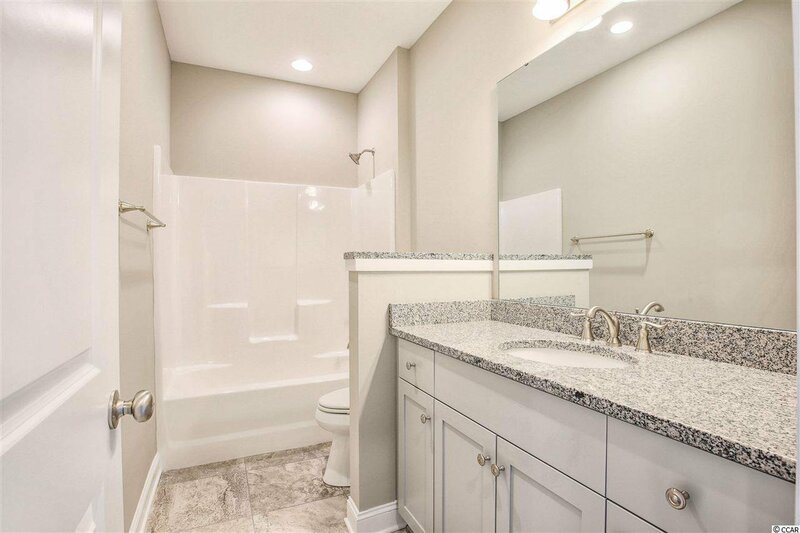 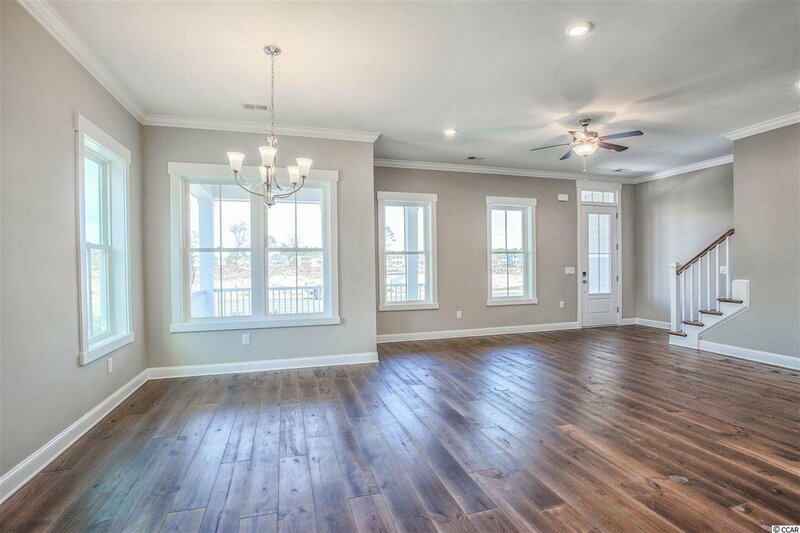 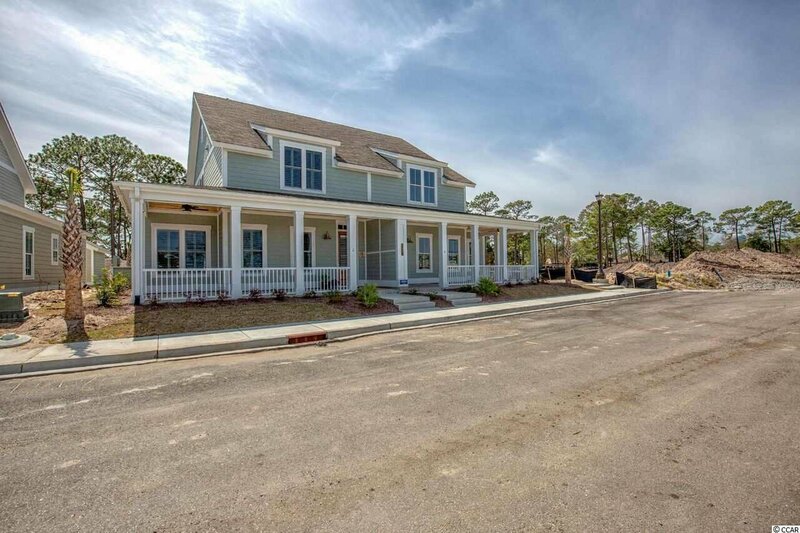 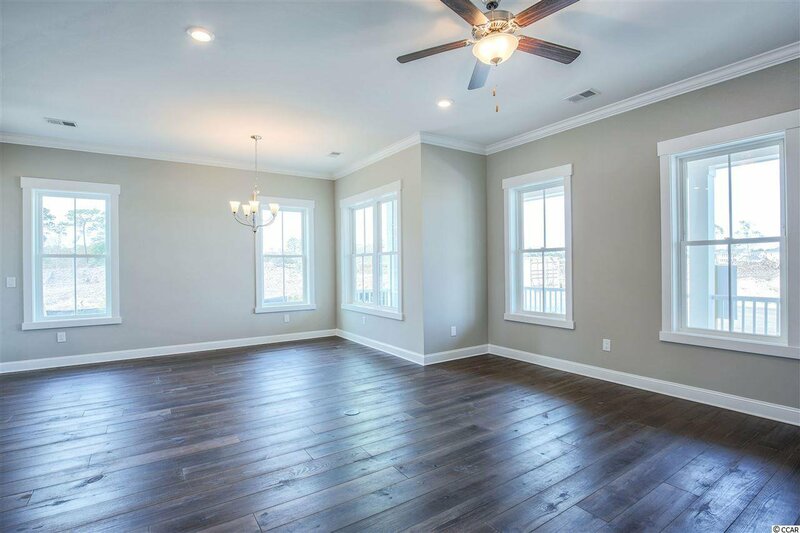 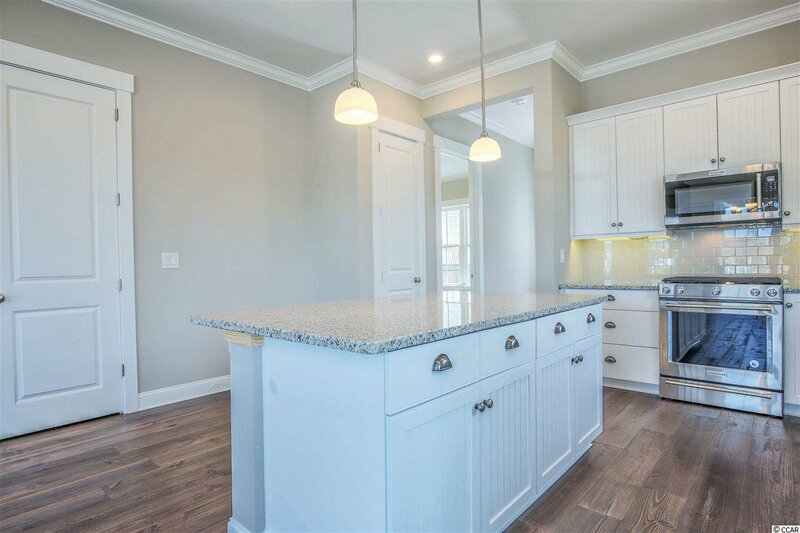 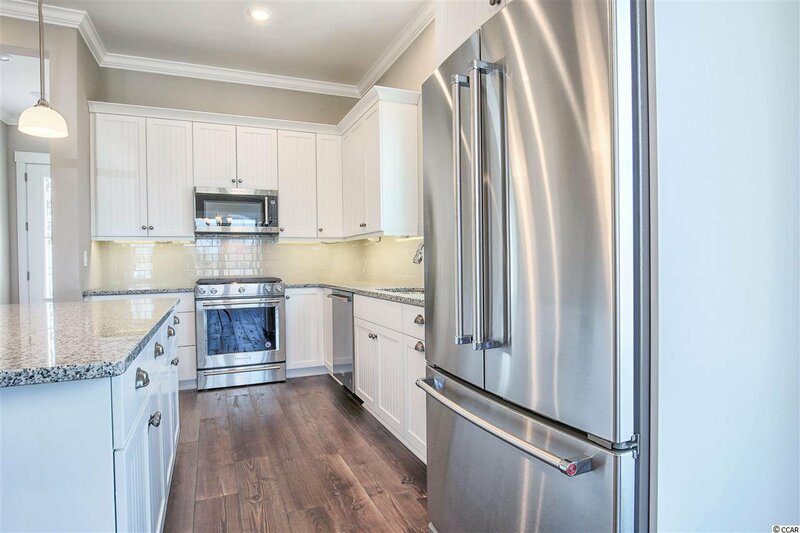 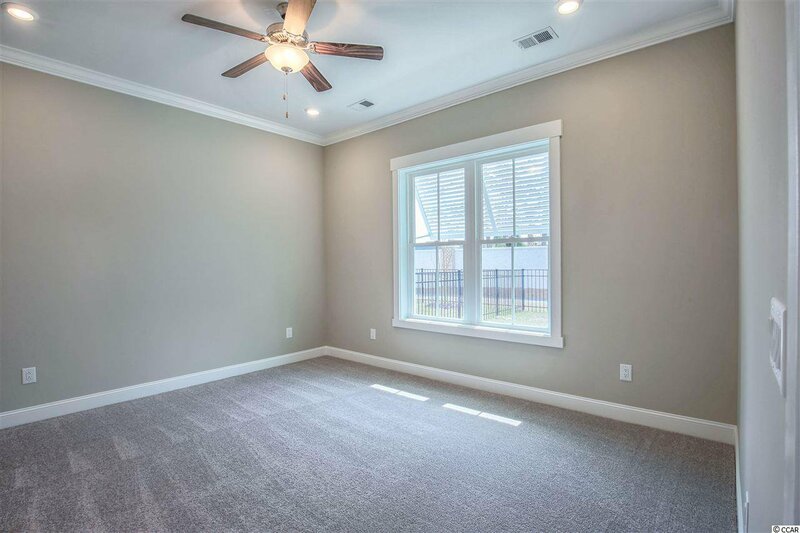 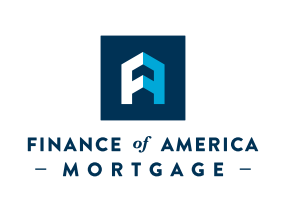 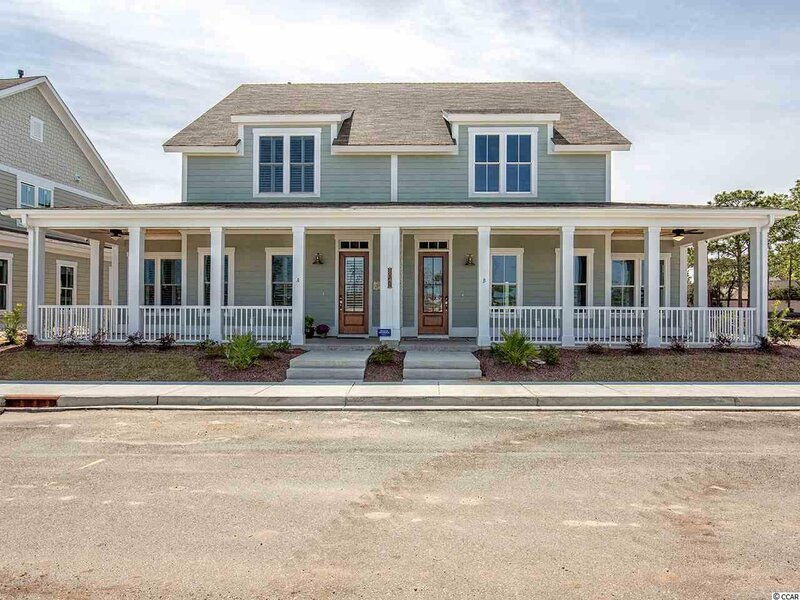 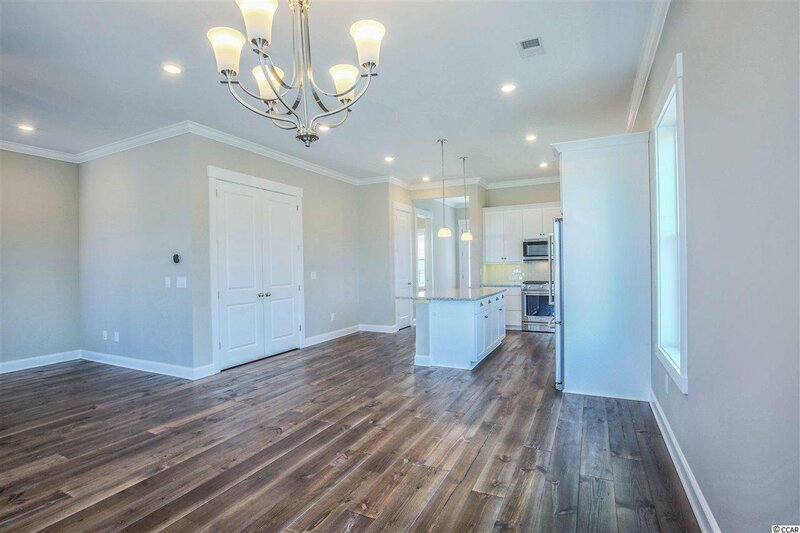 Finishes include 7 1/4 inch hardwood flooring throughout the common living areas, stainless steel appliances with a gas stove, granite counter-tops, large pantry, and tiled backsplash. 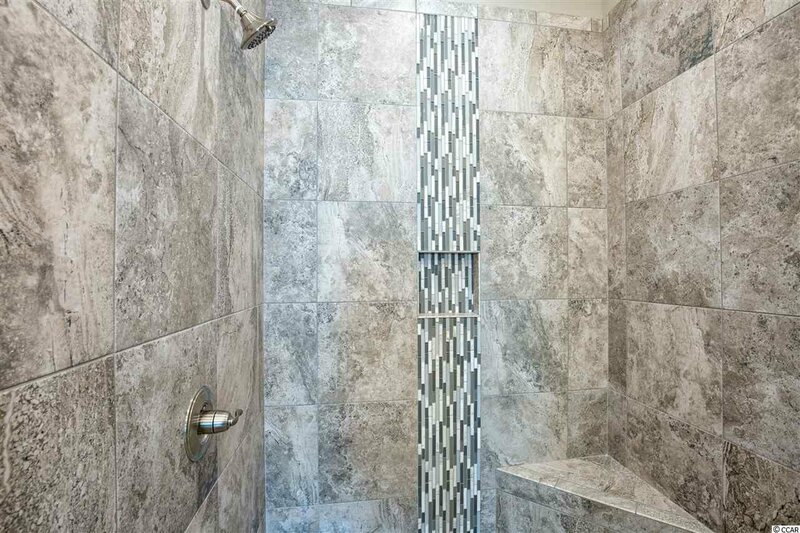 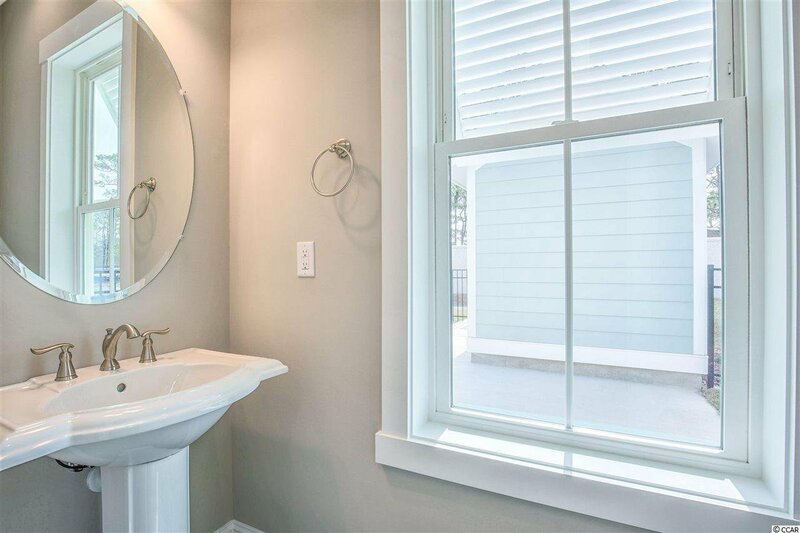 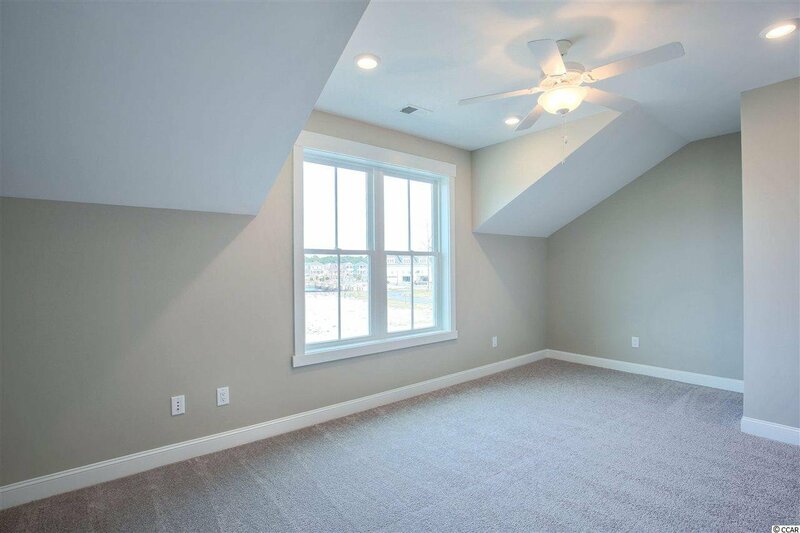 The master suite has tray ceilings, a huge walk-in closet, and a large tiled shower with frameless glass doors. 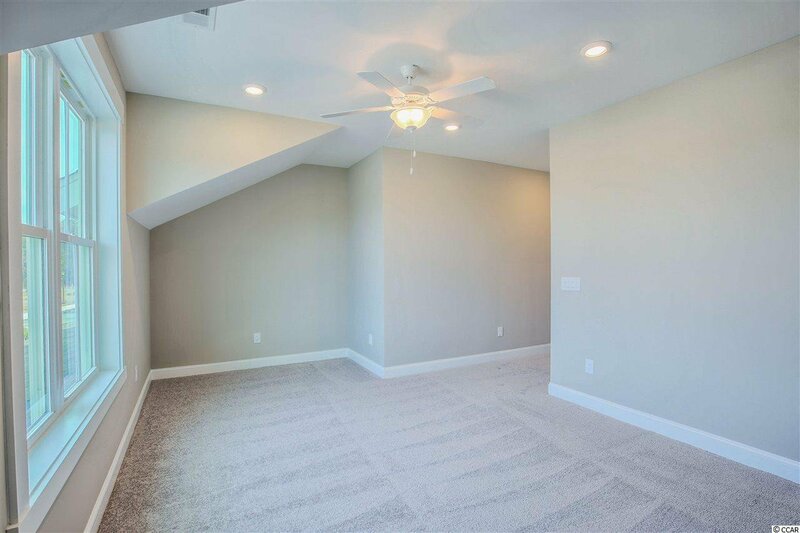 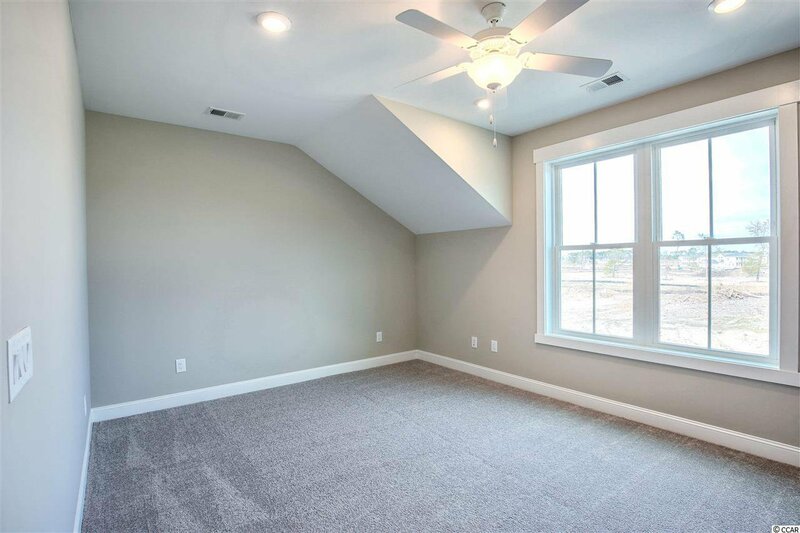 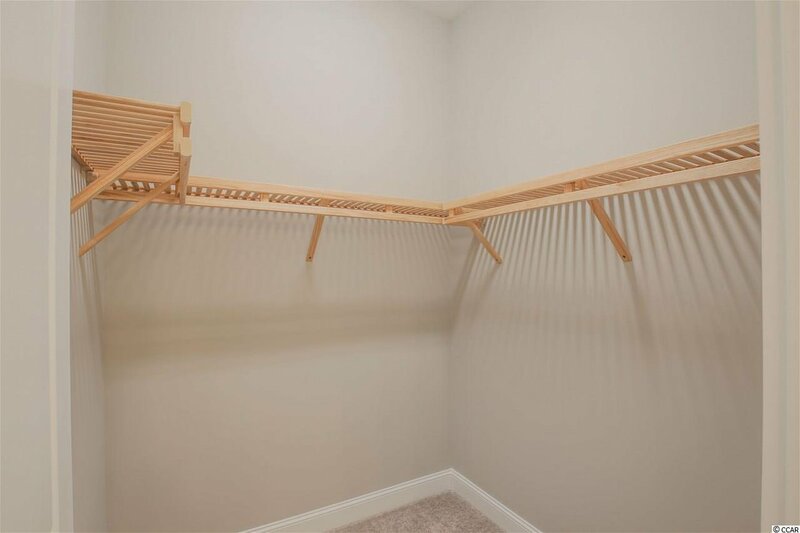 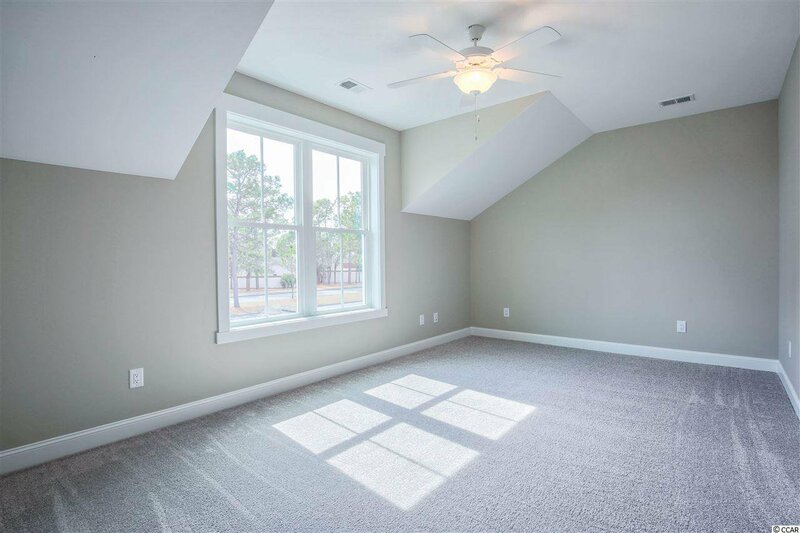 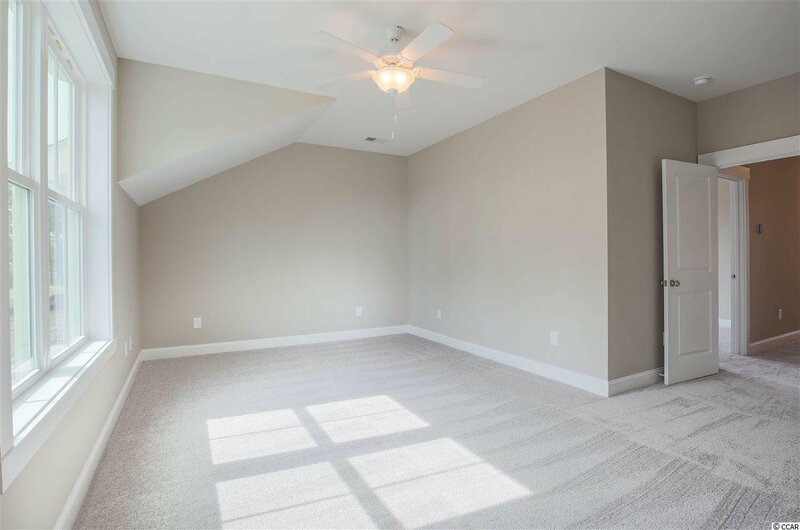 Upstairs you'll find two bedrooms, a bath and a 19'4" x 12'3" flex room. 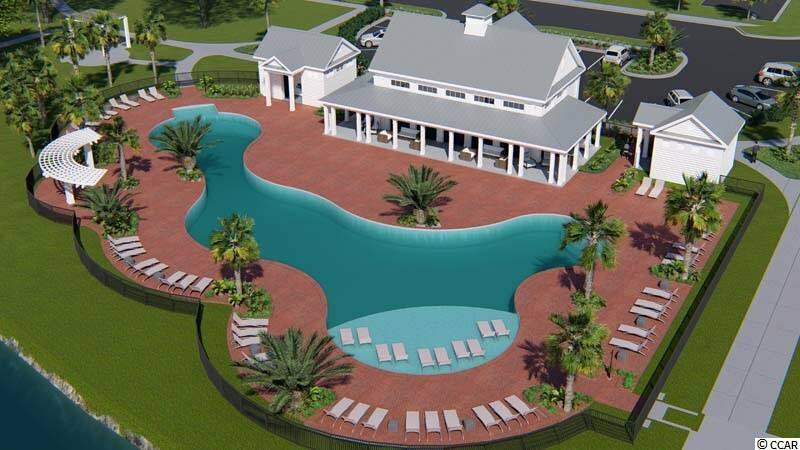 Includes a decorative golf cart shed that could be used for storage/golf cart and a fenced in yard. 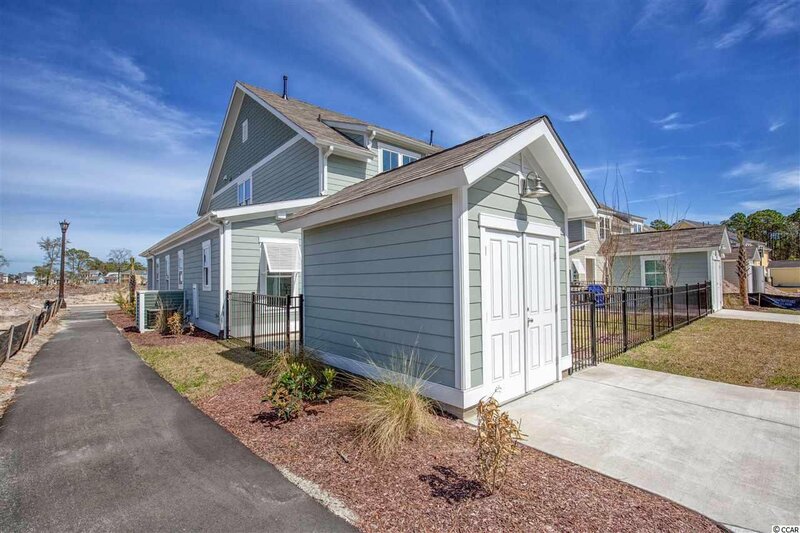 Yard care is included in the HOA. 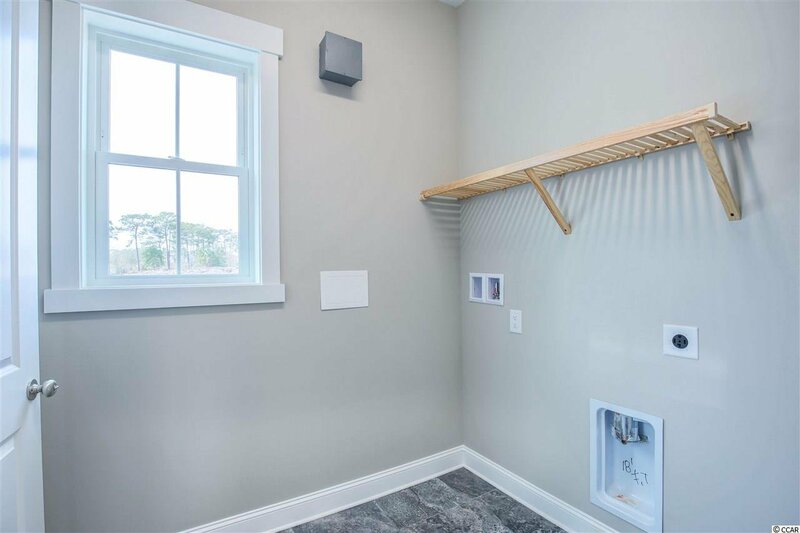 Quality construction is a priority at Living Dunes with all the homes built with 2x6 walls with spray foam insulation, tankless water heater, high impact-resistant windows, GAF Woodland series designer shingles, custom cabinetry certified by Elmwood Environmental Stewardship Program and a smart home system. 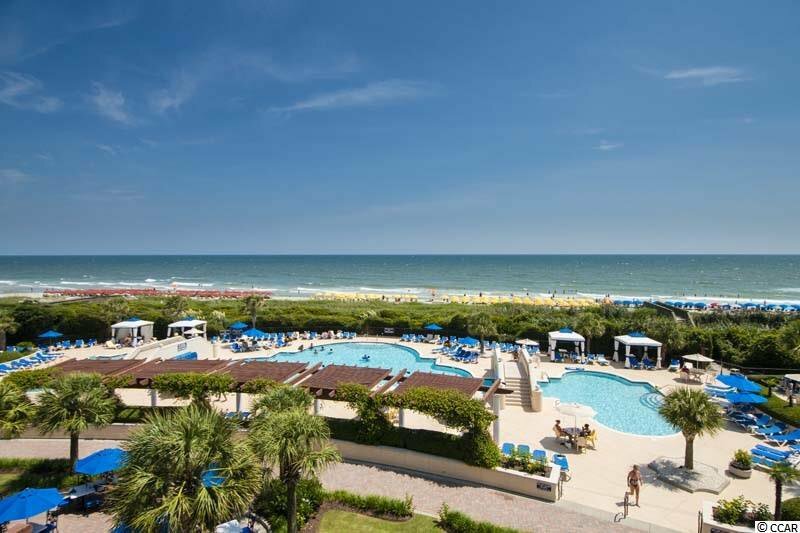 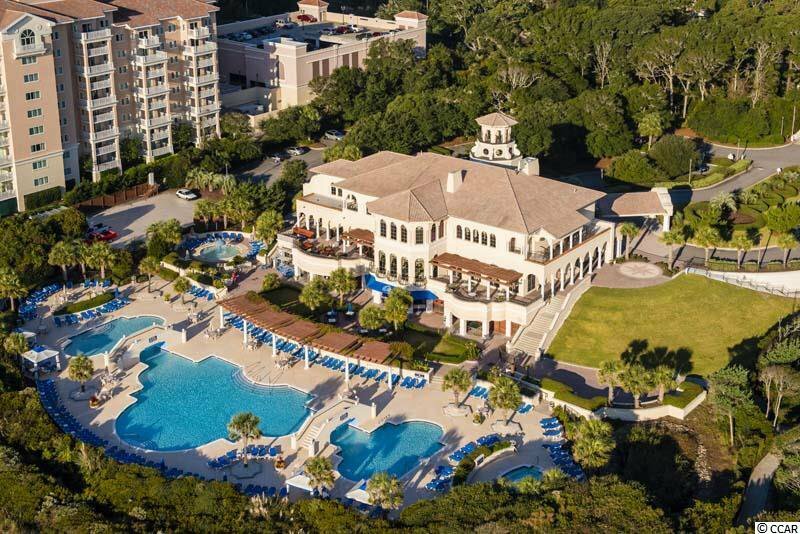 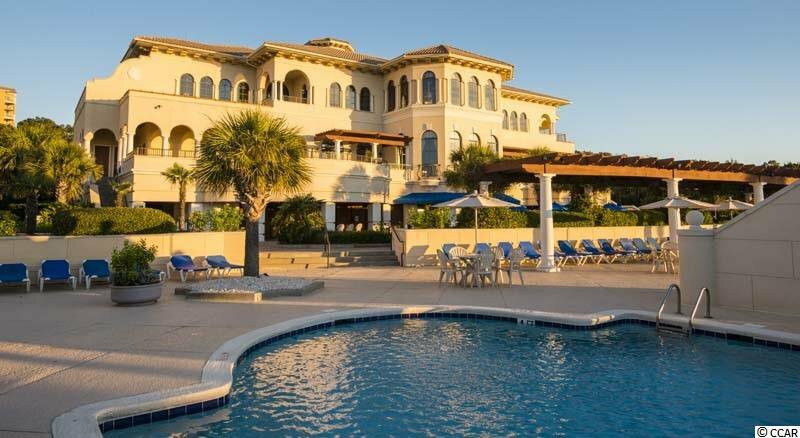 Plus, Living Dunes is a golf cart ride to the beach, the Grande Dunes Ocean Club, and within walking distance to great restaurants and shopping. 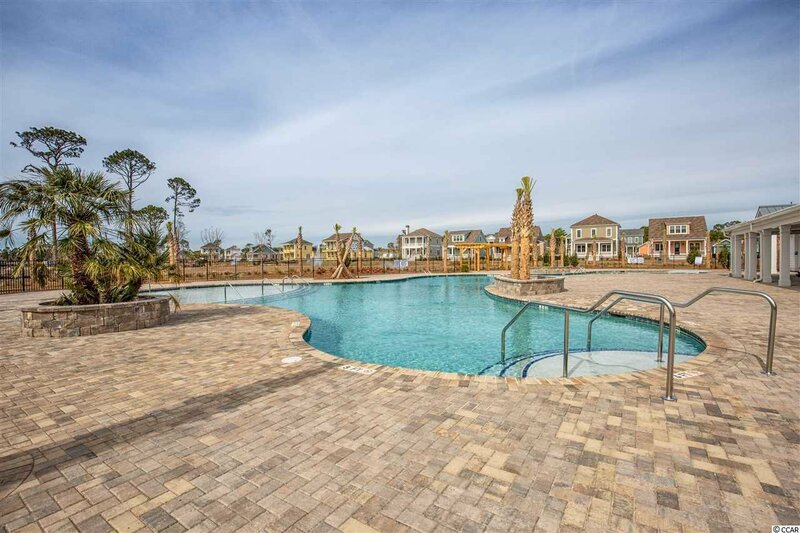 Or you could enjoy the on-site amenities of 8 miles of walking trails & sidewalks, junior size Olympic pool, clubhouse, and pocket parks. 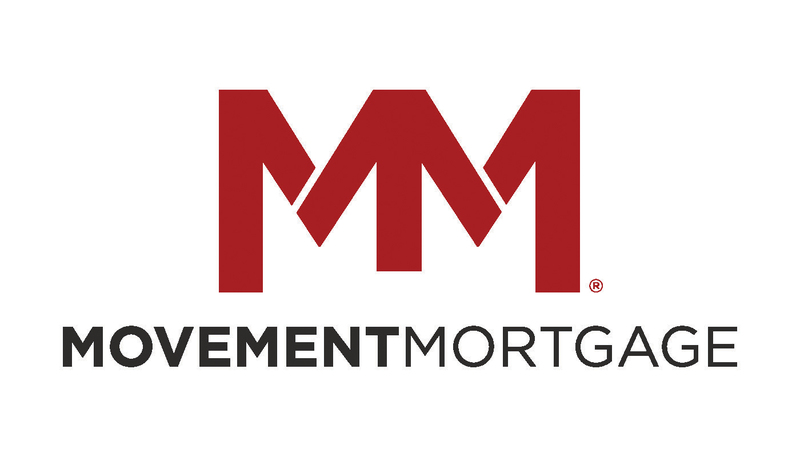 Experience a higher standard of living today. 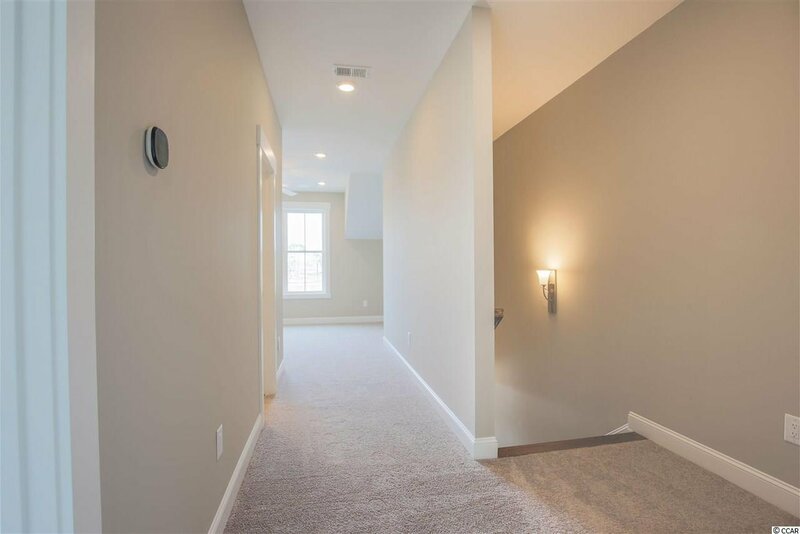 Schedule your personal tour. 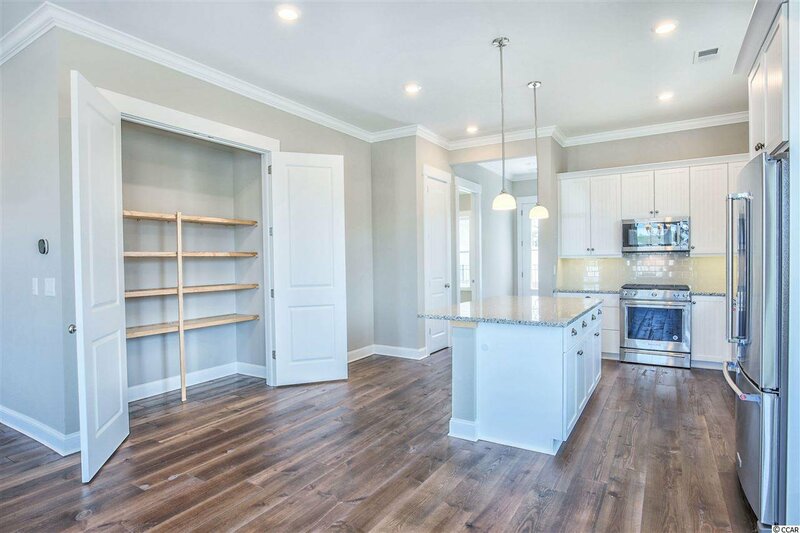 Pictures are not of listed home but of a finished home to illustrate the space. 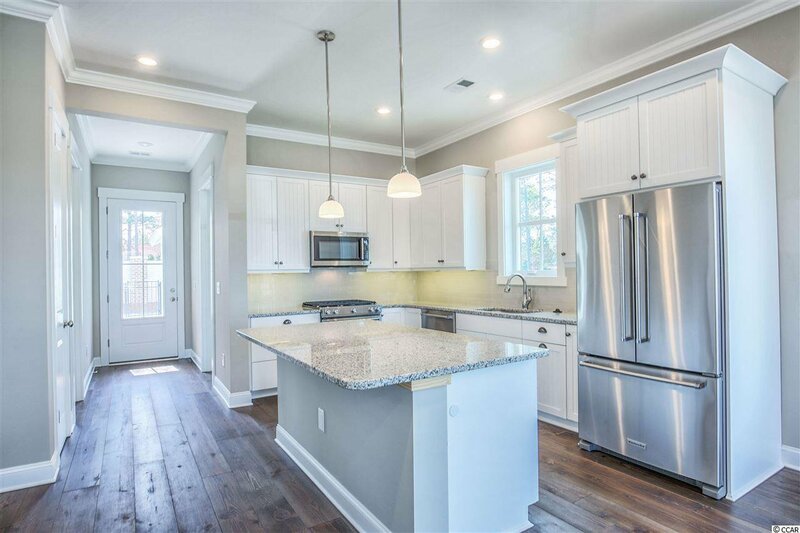 Listing courtesy of CRG Real Estate , Preston Guyton.